The Killers have always been a towering live band. 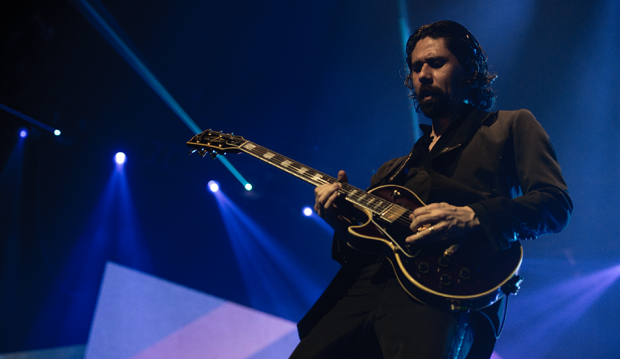 While contemporaries such as Franz Ferdinand struggled to keep up, The Killers took the Muse-like route of bigger is better in the live arena, with the odd crossover single success such as last year’s ultimate sporting anthem The Man to keep the public interested. As such, their first headliner outside a festival since a storied Metro City debut here in 2004 was a rammed affair, with Perth Arena literally packed to the rafters. Unfortunately though, it just wasn’t The Killers’ best show. We’re talking about a band who blew the Yeah Yeah Yeahs off the stage at the Big Day Out in 2013, where they stormed on and opened with Mr Brightside. Perhaps it’s the inner gambler in their Las Vegas blood that’s led them to take chances other bands wouldn’t, and combined with frontman Brandon Flowers’ undeniable charisma they’ve slayed it at festivals far and wide. But this was a very different show. For a start, they had limited competition from the support acts. Nothing against Alex Cameron and Jack Ladder & the Dreamlanders, both great Australian acts, but they were given such limited production and had so few songs the public knew that plenty didn’t even bother coming inside to watch. The impact on those that were there was muted at best, which was a shame because both acts deserve better. Perhaps it was part of the plan, because The Killers didn’t rush the stage so much as slowly emerge. A low drone accompanied by a triangular video screen rising up to the roof revealed the six-piece band and three backing singers, surrounded by a visually impressive six screen installation as they kicked into Wonderful Wonderful. They wasted little time early, going straight into The Man (accompanied by an early confetti explosion) and an amped up Somebody Told Me. Three songs in and all was well, particularly in the GA mosh-pit area where, like the renowned festival band they are, The Killers had no problems getting those on their feet already dancing. Those in seats were another matter, but we’ll get to that. What marked this as a particularly ambitious set was the two-hour running time. 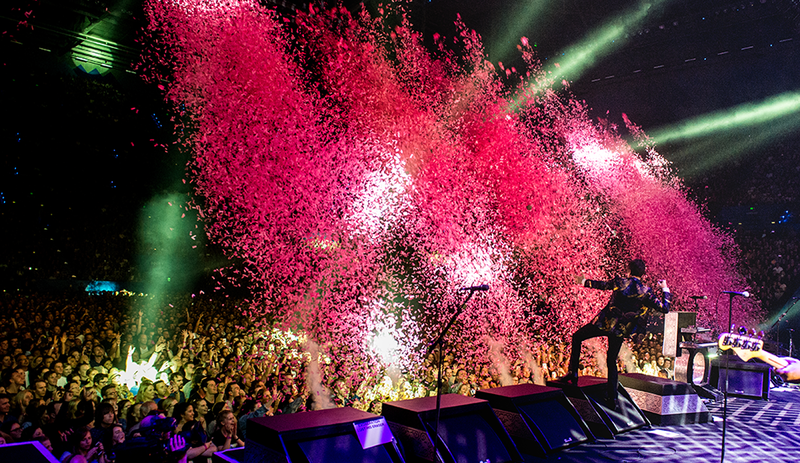 The Killers have never had a problem with one hour festival sets, but here they felt pushed. Early indications were M83 collaboration Shot At The Night and 10 year old deep cut I Can’t Stay making the setlist, while The Way It Was featured quite minimal production compared to other numbers. It didn’t help that they left out songs as good as Jenny Was a Friend of Mine and Sam’s Town while incorporating more than half of patchy latest record Wonderful Wonderful. That may be par for the course with artists touring new albums, but this is The Killers – at their 2013 Big Day Out show they only did two tracks from Battle Born, the album they were touring at the time. They showed little of that daring on Tuesday night. 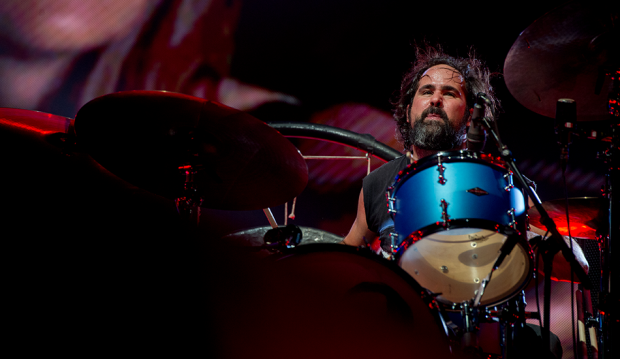 Nor did it help that half the band weren’t there – guitarist Dave Keuning and bassist Mark Stoermer choose not to tour with the band anymore, and with the fill in players not acknowledged, it left a lot of lifting for Flowers and drummer Ronnie Vannucci Jr to do. Highlights included an unexpected pair of covers, first INXS’ Don’t Change, preceded by Flowers saying “We’re gonna pay a tribute to Perth,” which segued into one of the songs of the night as Human lit up the Arena. Later a verse or so of Dire Straits’ Romeo & Juliet was also memorable. Musically speaking, the night peaked with the run home of Runaways, Read My Mind and All These Things That I’ve Done, with each merged, one into the other, to form a suite of sorts. 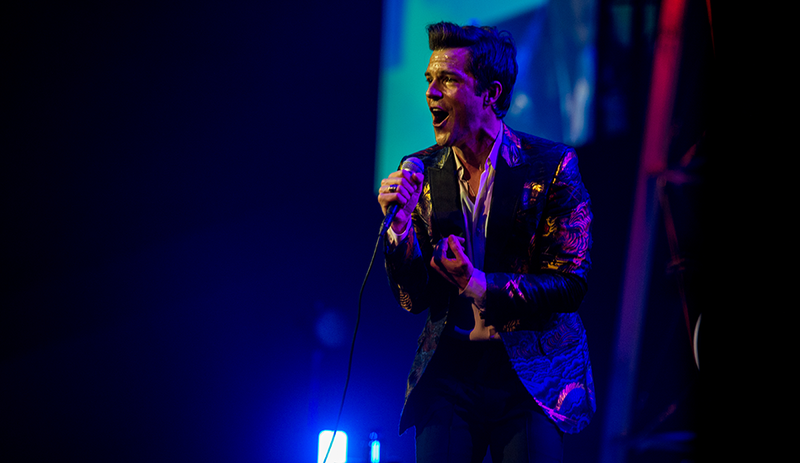 The Killers put on as good a stage show as any, but they’re not usually the sorts to resort to acoustic micro-stages or lavish costume changes. 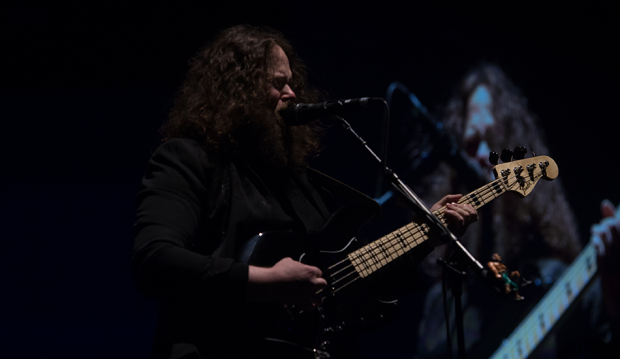 Nonetheless, following a lengthy encore break, Flowers did return looking different – dressed like a glittering Elvis as he preached his way through an evangelical The Calling. Alex Cameron re-emerged for a cover of his own Runnin’ Outta Luck which was lost on most, who were waiting for When You Were Young and Mr Brightside. They got what they wanted, of course, and finally everyone was out of their seats dancing. But it was over just as fast. You couldn’t doubt The Killers’ generosity in delivering over two hours and they certainly didn’t skimp on the production coming all the way to Perth (as many do). But there was no escaping the sense that, had they played just one of their two final bangers earlier, they might have had everyone up and swinging a little sooner, just as they’ve done on previous visits.